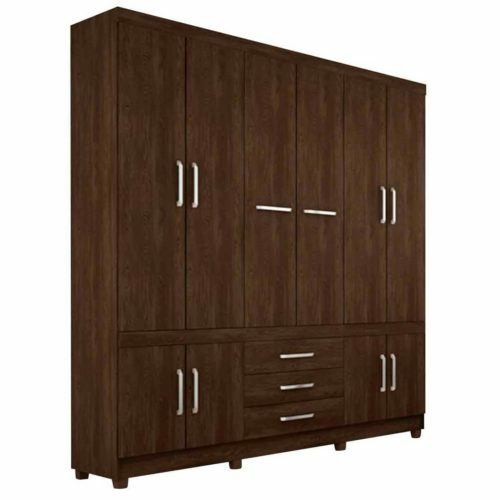 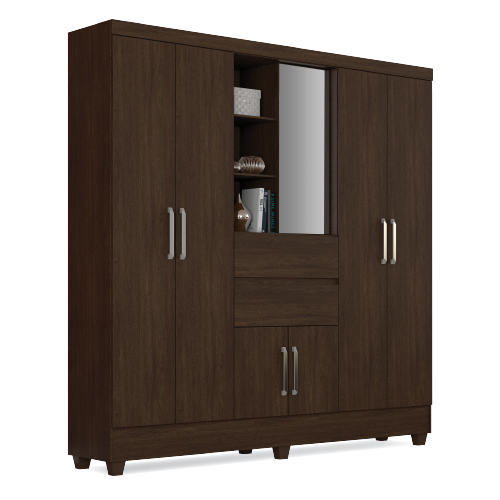 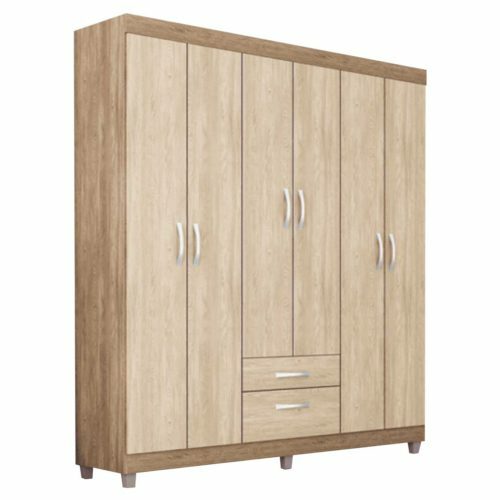 DI014 Wardrobe 6 doors and 2 external drawers with metal slides. 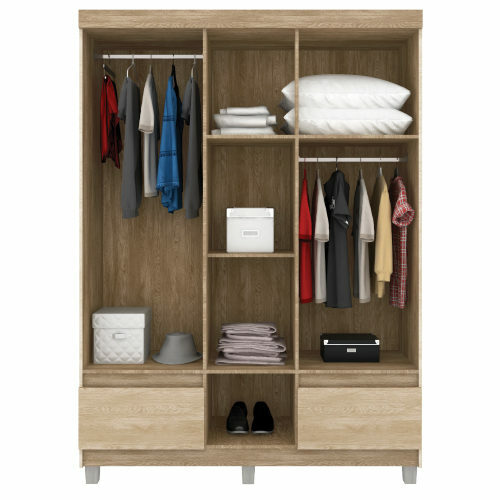 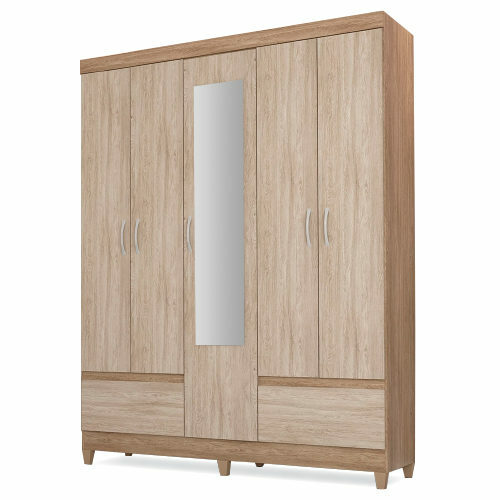 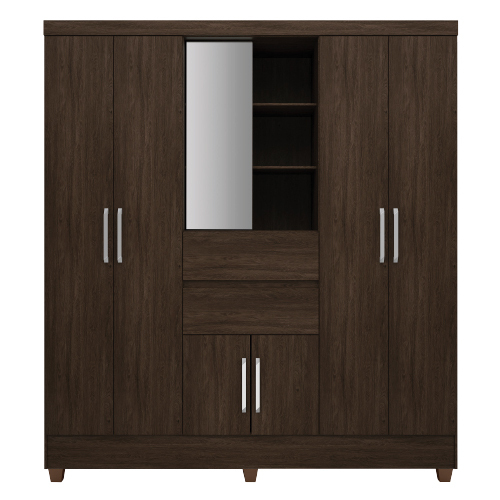 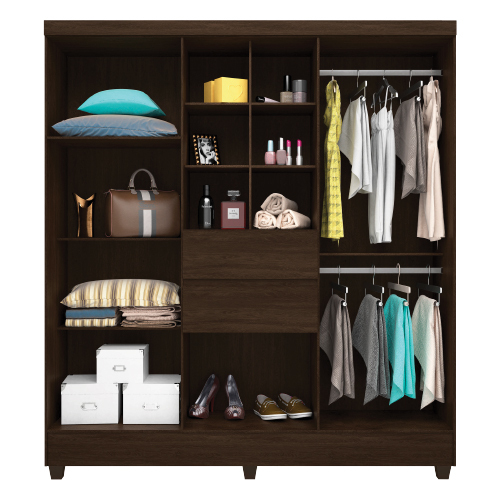 Versatile model that offers excellent internal and external configuration due to the great number of internal shelves, besides the central niche also with shelves and mirror door. 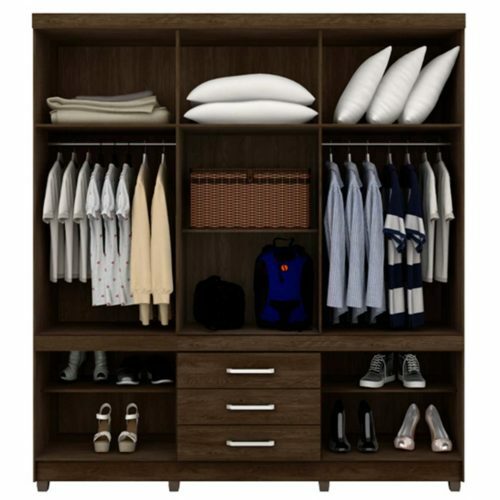 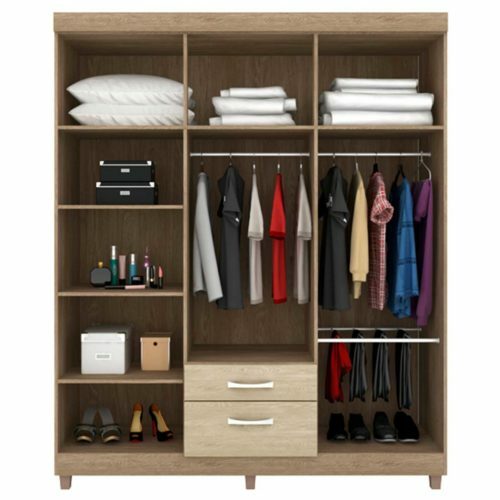 Drawers with greater depth and a lower compartment suitable for several pairs of shoes.